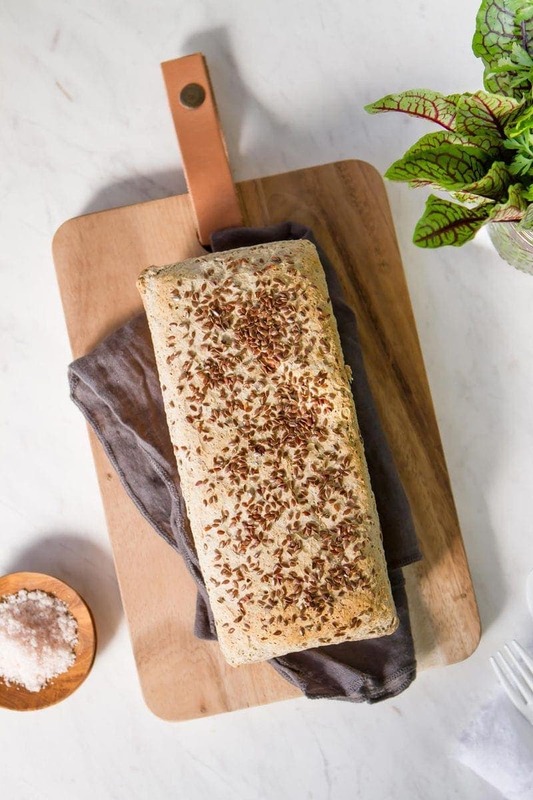 For those with sensitivities to gluten – this loaf is for you. 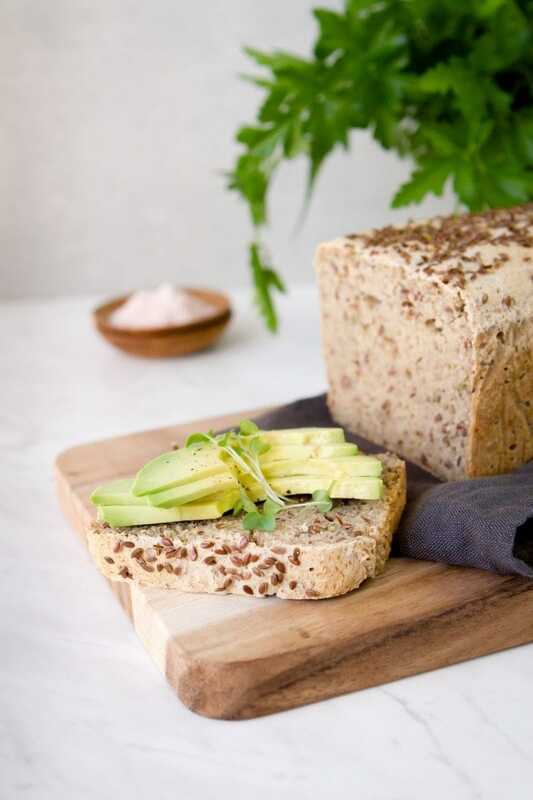 A tried and tested and widely loved Gluten Free Buckwheat & Millet Bread. This comes out soft and spongy and keeps well in a bread bag on the kitchen bench. Yes you can make this in a bread maker! 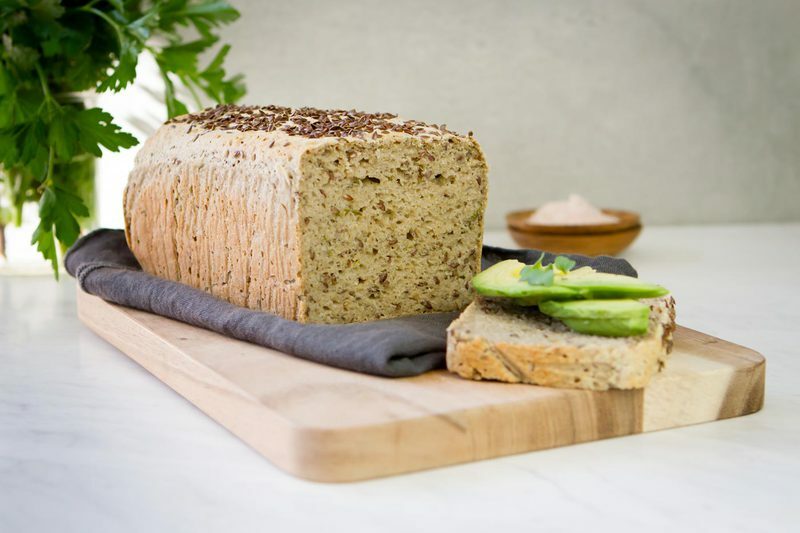 Based on the number of people with gluten sensitivities I have seen so far in clinic, I thought it would be a great idea to create a classic gluten free loaf to recommend to clients making the transition to a gluten free diet. Firstly – there are so many neat ways you make a healthy bread – you can soak your grains first (great! ), you can then go on to sprout them before bread making (as in Essene bread – also great! ), or you can ferment your bread, sourdough style. All these methods of preparation are fabulous as they help pre-digest the grains, neutralise anti-nutrients, and have the net result of making them that much more digestion-friendly. The downside – time. Yep, I totally get it’s just too huge a leap to get straight into these more complex methods of preparation – especially when you have a hungry family. You want bread – you want it today! So – where to start? 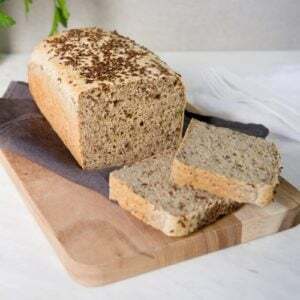 With a delicious fuss free loaf made from store bought gluten free flours, using yeast to help it get a decent rise and provide enough aeration to make the end result soft and springy – and, well, comforting! Because that’s why we eat bread, no? This recipe uses a blend of two high protein gluten free flours: buckwheat and millet, in addition to tapioca starch, it works out roughly as two thirds high-protein GF flour to one third starch. I’ve found this to be the sweet spot of gluten free baking. The high protein flours mimic gluten, while the starch improves the texture – helping add some ‘spring’. Buckwheat and millet can be exchanged for other high protein gluten free flours if you want to mix it up a little. In fact, I made a sweet version of this loaf using sorghum in place of millet – I think as long as you interchange the flours based on weight rather than cup measurements, you’ll be fine (eg, millet is quite dense and weighs more than the lighter, fluffier sorghum). Tapioca is made from the root of the cassava plant. The brand I use (Ceres) is organic, and has not been chemically bleached. You could use potato starch or green banana flour in place of tapioca – just be aware that both of these are a type of resistant starch that are fantastic for your gut but can make you prone to, erm, gas. The yeast I used is an active yeast bought from my local organic store. I keep it in the fridge to keep it fresh. After many a bread-making-trial, I can add this gem: old yeast will not rise nearly as well as fresh. The yeast wakes up in the warm water and feeds off the sugar. Once baked, it dies off and so is not active any longer. The other great thing about this recipe – is its super allergy friendly – containing no dairy or eggs. I have a raging rosemary bush in the garden, so snipped a few decent sized tendrils and added a liberal amount of the fresh leaves to the mix. 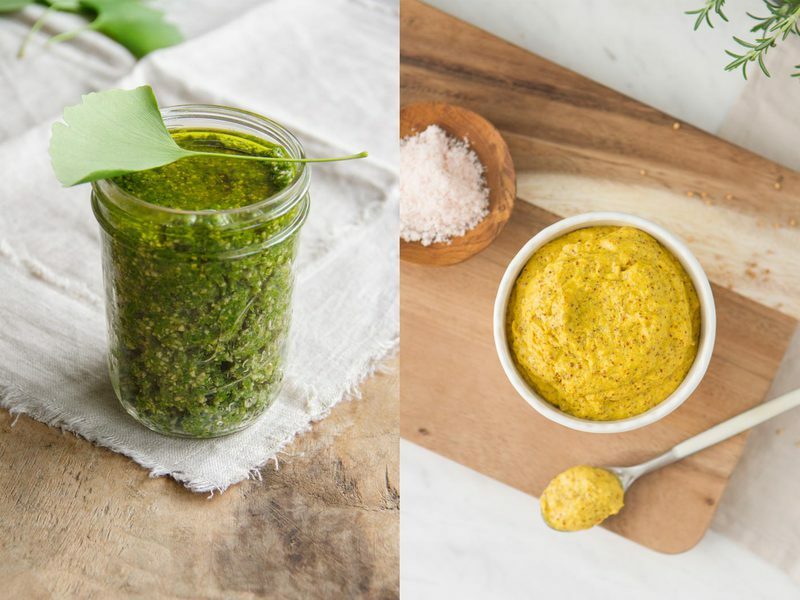 You might also like to try my raw Ginkgo Pesto or Homemade Mustard recipes out – they’d make for great toppings. Finally – once you’ve combined all ingredients in a bowl and mixed to form a dough (no kneading is required since there is no gluten), it takes an hour to rise in a warm environment and up to 40 minutes to bake. I think this is such as great thing to make on a weekly basis – and it will certainly save you money. 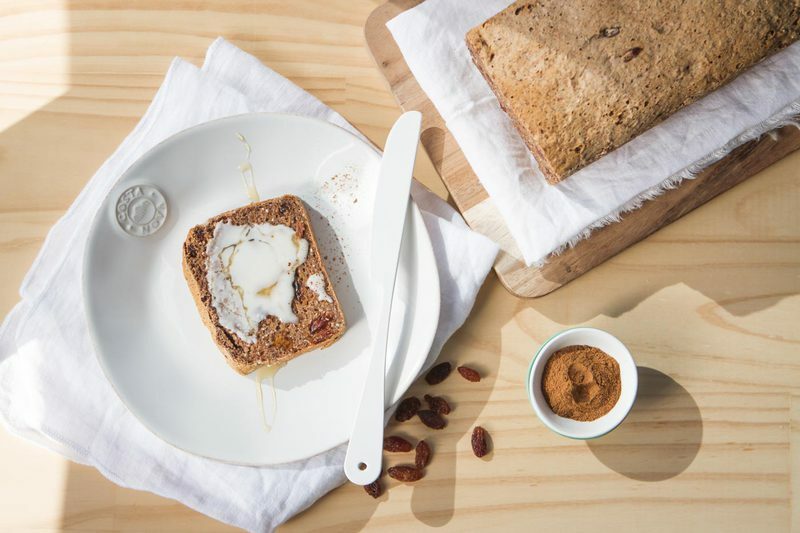 I will be sharing the sweet version of this loaf (fruit spice – below) sometime over the weekend – check back for the recipe. *Update: it’s here! 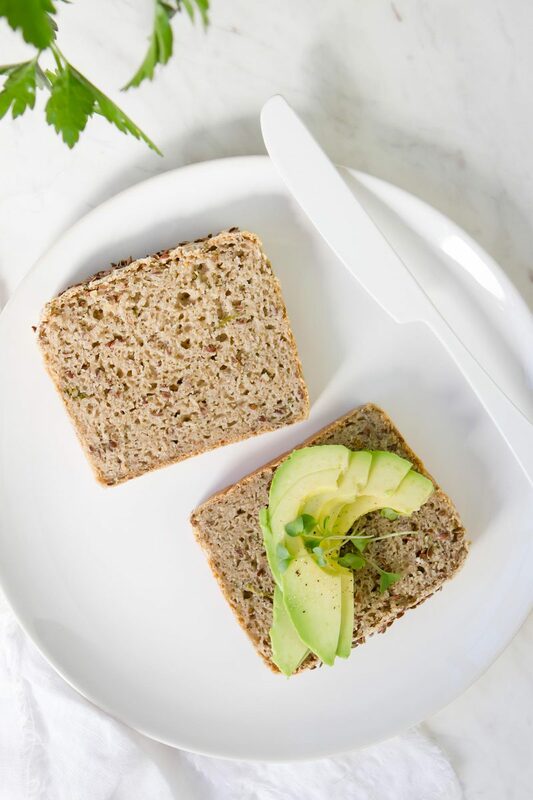 A soft and spongey gluten free buckwheat bread with millet, flax and rosemary. Simple to make, and stays soft on the counter for days. Vegan. Please note that the active prep time does not include the hour it takes for the bread to rise. Yields one loaf with 14 slices (1.75cm per slice). Meanwhile, sift the buckwheat and millet flour, tapioca starch, baking powder and salt into a large mixing bowl. Add flax seeds. Tear the leaves from the rosemary sprigs and add those as well. Mix to combine. In a blender, whiz the remaining 1½ cups warm water with the psyllium husks for 15 seconds. Make a well in the centre of the dry ingredients, pour in psyllium husk mixture, olive oil and yeast mixture. • This bread is best stored wrapped snuggly in a breathable paper rather than plastic, and will stay soft on the counter for days (possibly longer - it always seems to get eaten so quickly! ).